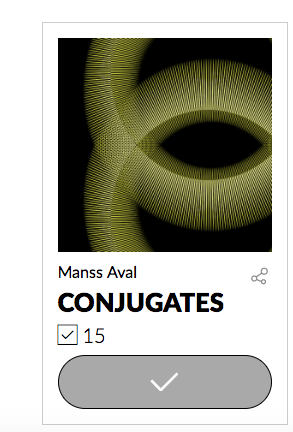 Show your support for Artist Manss Aval, by voting for his artwork Conjugates in the 2017 Global Art Awards. The Global Art Awards in Dubai will happen on November 17, 2017 at the Burj Khalifa, Armani Hotel Dubai. The Global Art Awards recognize international artists and talented art. The Global Art Awards were created to honor and generate public recognition for the achievements and positive contributions of artists, galleries, and art professionals worldwide. Awarding the outstanding artist live to the public and press, giving the winners the recognition that they deserve, boosting their career and a ‘Best Global Artist’ title to claim for the rest of their career. Vote for Manss Aval here.